Bantry Bay Guesthouse v Kapské Město, Jižní Afrika: Zarezervujte nyní! 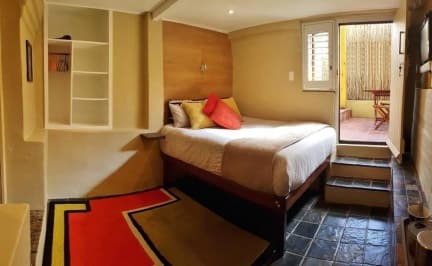 Very central and conveniently located near the most beautiful beaches of South Africa, we welcome you to this quiet and very comfortable Guesthouse in beautiful, wind-free Bantry Bay, probably the best and safest part of Cape Town. We enjoy having travellers and will do every effort to make your stay as pleasant as possible. Or leave you to it, if you like your privacy. There is a large, clean kitchen for making your breakfast, and a spacious patio to sit, eat or relax! FREE: Coffee and tea, Internet-access, secure private parking. Shops, supermarkets, restaurants, banks etc. are just 3 minutes walk down the road, in Regent Road. Good public transport links are 2 minutes down the road on Victoria Road, for Camps Bay beach, Hout Bay, 'Town' and Waterfront! The Waterfront-bus leaves every 20 minutes from down the road. Table Mountain's cable car is also quiet near. 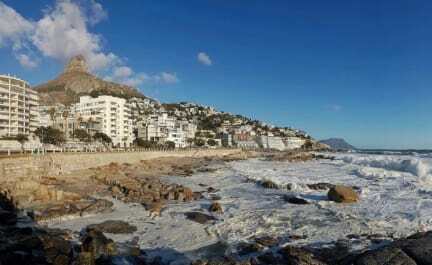 Clifton's beaches are just around the corner, a 10 minute nice walk on Victoria Rd along the Ocean. Sorry, no party people, kids or smokers, please :-) as our returning guests appreciate the quiet, clean, homely atmosphere.